Are you looking for a Bilingual Sales Contract, in the Chinese and English language? Then you are lucky you found this Sales Contract Template. 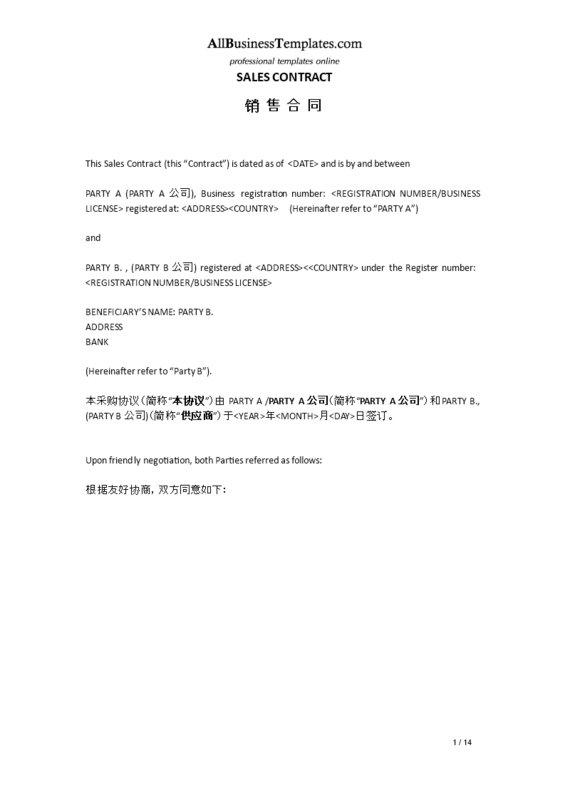 Download our Chinese-English Sales Contract Template now! Our trustworthy legal templates are all crafted and screened by bilingual (Chinese and English) legal professionals. The 3 step process virtually guarantees you can finish and print your legal document in minutes! Download this bilingual Sales contract template now, fill-In the blanks, print ...done!